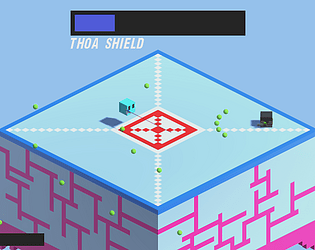 Blocky Warrior uses one bar to represent health and ammo. You shoot, you lose health. Get in close to gain health back with a melee attack. 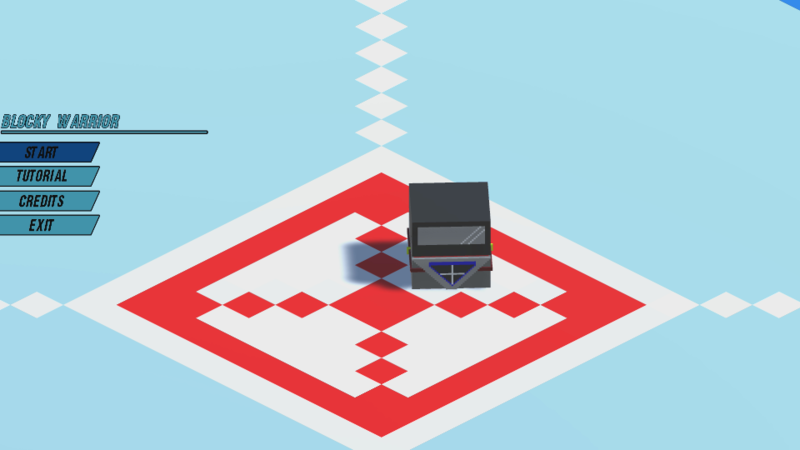 When you jump, pressing the jump button while in the air will rotate the level, moving the enemy around. Why walk to the enemy when he can come to you? I like the art, but I feel like the game is kinda hamstrung by the enemies having way too much health. It feels more like an endurance challenge than anything. 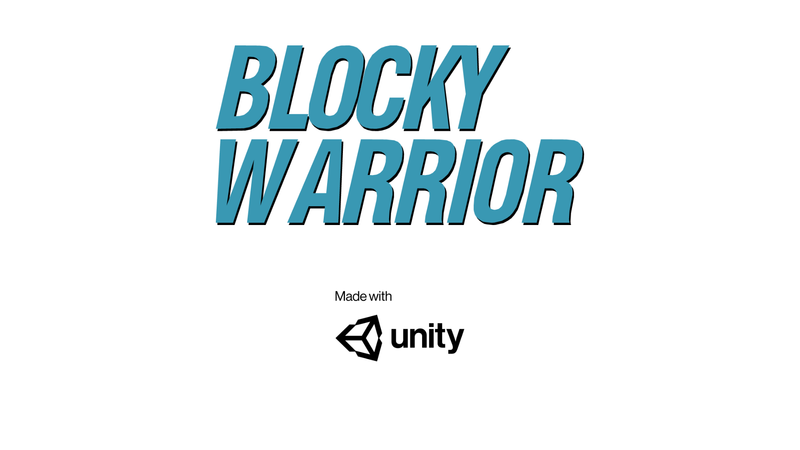 Blocky Warrior? What is that? A minecraft youtuber? Nah, I'm just teasing. It's a nifty idea you got there, but the enemies have so much health that using up your health is a waste of time. I find it easier to dodge their projectiles and slowly move towards them. They'll end up backing into the edge and falling off the platform. 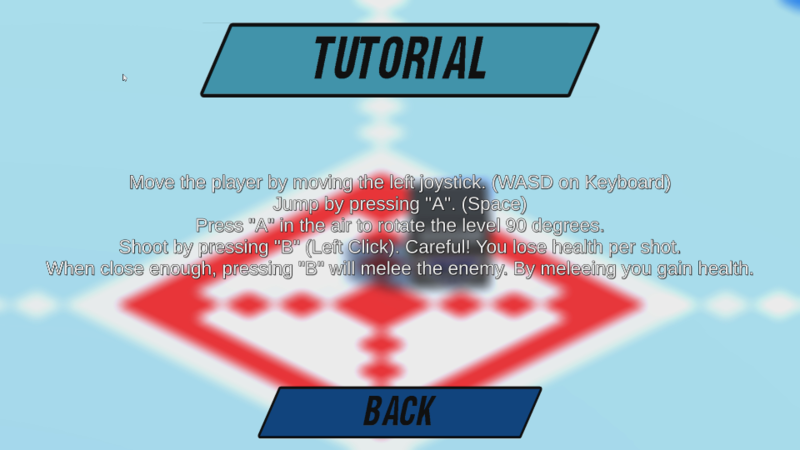 When I let go of the joystick, the player flicks back to the starting direction, and that's quite annoying. 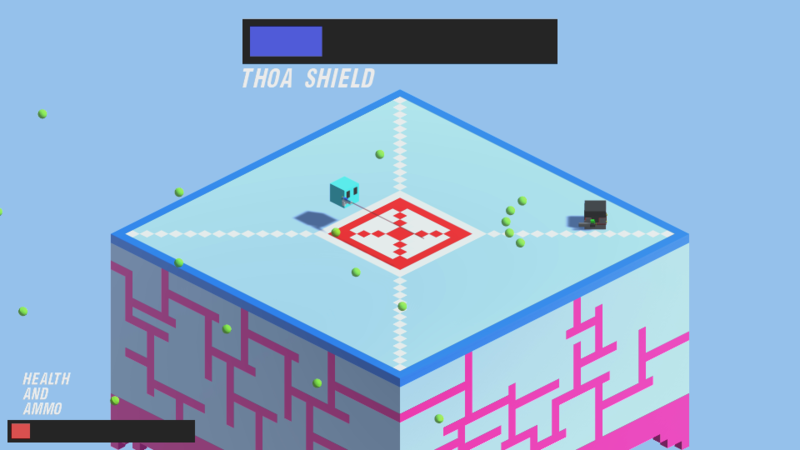 But, I bet you can add some more depth to the game.